There is great excitement at Kernow Fires at the moment as we welcome Dave from Kernow Metals into the fold. 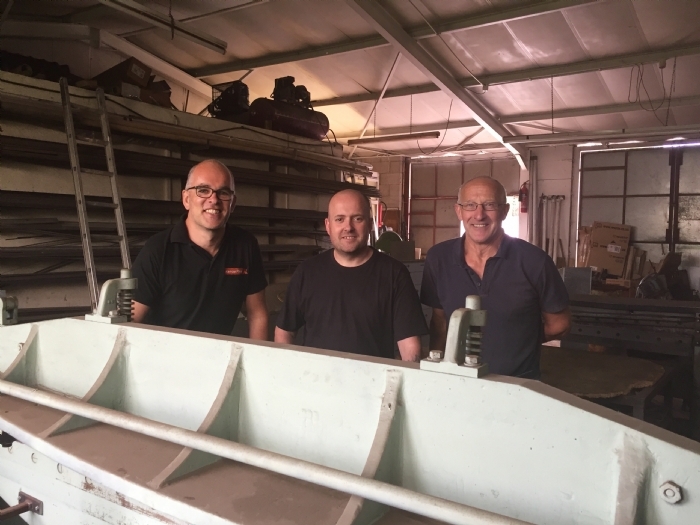 Having worked with Kernow Metals for years on our bespoke fireplaces, fireguards and accessories we are over the moon to be able to develop this side of the business. To help with the work load we have also employed skilled metal fabricator Jamie Whitelaw who has relocated to Cornwall specifically to work with Kernow Metals. Jamie now works alongside Dave combining their skills. Having worked on a variety of projects and film sets, Jamie has already made a name for himself, creating large, bespoke pieces for private clients in the South east. So what can you expect from Kernow Metals in the future? Well, we are already working on developing our bespoke service for garden and indoor furniture including railings and gates and we are working on a number of designs for tables and chairs. We are expanding our range of fireplace accessories and continue to design incredible bespoke fireplaces. Keep up to date with news from Kernow Metals on the Kernow Fires Facebook page where we will be posting regularly from the workshop.